I think Shakespeare said let's kill all the lawyers. In this book, the lawyer is the killer. Check out the book, read the excerpt, then be sure to enter to win the PayPal/cash giveaway. Open through 3/1. Good luck. 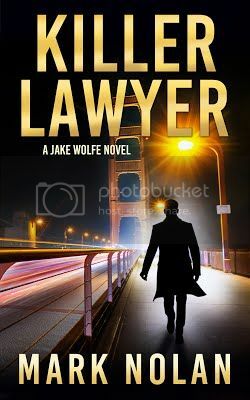 At half-past midnight, newly-licensed attorney Jake Wolfe lay in bed staring at the ceiling and waiting for orders … orders to kill. Resting on top of the covers, fully dressed except for his boots, he was ready to go at a moment’s notice. Beneath him, he felt his sixty-foot power yacht, the Far Niente, rock gently on the water, where it was berthed at his boat slip. In the stillness, he listened as small waves lapped at the hull, the boat creaked in a familiar way, the rigging from a nearby sailboat flapped in the breeze, and a passing seagull called to another. He knew every sound of the boat, as if she was an old friend with her own personality. Closing his eyes, he wondered how it was possible that he’d become an assassin. After serving four years in the Marines and later doing secret black ops missions for the CIA’s Special Activities Division, he’d received an honorable discharge at his end of active service. Coming home and studying law online he’d passed the bar exam and started a solo law practice. The fighting should all be behind him now, but Uncle Sam had come calling again, in need of a patriot to help protect the homeland. His girlfriend, Sarah Chance, should be in bed with him, but she’d accidentally witnessed Jake assassinate three terrorists. Now she was afraid to spend the night. Sarah Chance lay awake in bed, thinking about Jake and worrying about being late with her monthly period. Getting out of bed, she tied back her long dark hair with a scrunchie, put on her glasses, walked to the bathroom and tore open a pregnancy test kit. She had absolutely no plans to have a baby at this stage of her life, and yet for some strange reason she felt torn, half-fearing and half-hoping she might be pregnant. As she waited for the test result to be revealed, she thought about how she’d fallen so hard for Jake. That scared her a little. His secret life of covert ops had almost gotten her killed recently. How could she live with a proverbial sword hanging over her head? If only Jake would tell the government he wanted out, that he’d done his duty, served with honor and now deserved to enjoy a normal civilian life. It was time for others to step up and take his place so Jake and his war dog, Cody, could live in peace. A tear rolled down Sarah’s cheek, and her eyes were wet as she watched the result show up on the test stick, plain as day and undeniable. A book I will definitely pick up. Sounds like a great page turner. I can't think of another book where the lawyer is the killer. Sounds good, thanks for the chance to win! Definitely added to my list of books I want to read. I might have to bump it up closer to the top of the list, too! I would love to read! Sounds like my kind of book! I like the cover, sounds like an interesting book.